The intrepid foreign correspondent and editor Arnaud de Borchgrave has died, aged 88, of cancer. 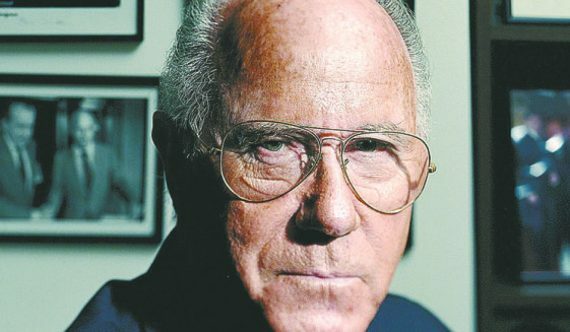 Arnaud de Borchgrave, who interviewed statesmen and despots across time zones and war zones as a swashbuckling foreign correspondent for Newsweek magazine, and who later led the Washington Times as editor during the newspaper’s early years, died Feb. 15 at a hospice in the District. He was 88. The cause was cancer, said his wife, Alexandra Villard de Borchgrave. Born a Belgian count, Mr. de Borchgrave was reported to have been 13th in line to the throne in his native country. 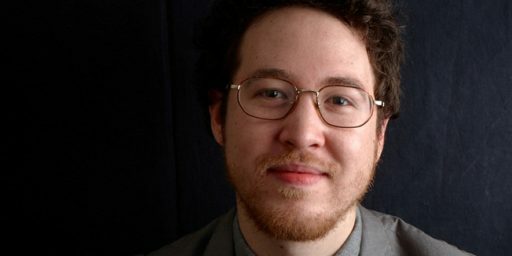 He gave up his aristocratic title, although perhaps not the air of influence and access, and became a U.S. citizen and high-profile, globe-trotting journalist. He began his career shortly after World War II as a reporter with the United Press wire service and quickly made the leap to Newsweek, then owned by Vincent Astor and later purchased by The Washington Post Co. under the leadership of President Philip L. Graham. 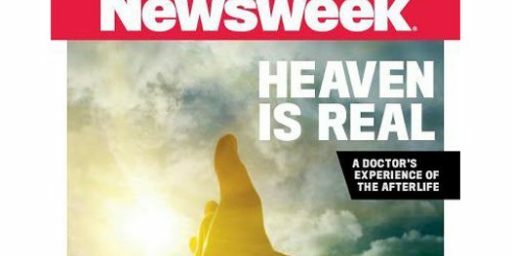 Mr. de Borchgrave became Newsweek’s Paris bureau chief in 1951 and went on to a career as a roving correspondent, parachuting into hot spots and sending dispatches from Africa, the Middle East and Europe at the height of the Cold War. Ever flamboyant, he told Esquire magazine that he kept “the starched combat fatigues of 12 nations” at his pied-a-terre in Geneva, Switzerland, where he lived conveniently near the airport. By his estimate, he covered at least 17 wars. 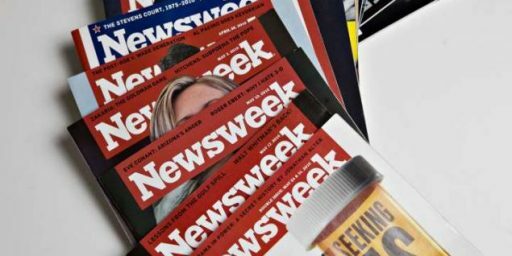 Newsweek rewarded Mr. de Borchgrave for what was, by all accounts, his prodigious output. “There were three reporting budgets: foreign, domestic and Arnaud,” a former correspondent once said, according to an account in the New Yorker magazine. Arnaud de Borchgrave, a retired editor-in-chief of The Washington Times, a celebrated foreign correspondent who covered 17 wars and became the confidant of dozens of world leaders, died Sunday at a hospice in Washington after a lengthy battle with cancer. He was 88. Mr. de Borchgrave was editor-in-chief of The Times from 1985 until he retired in 1991. He had been chief foreign correspondent for Newsweek magazine, a post he held for 25 years. He presided over The Times during a period of great growth, both in circulation and in influence at the White House and on Capitol Hill far beyond its circulation numbers. He became president and chief executive officer of United Press International after he retired from The Times, and was editor-at-large for both publications at the time of his death. After he retired from the newspaper, he became director of transnational projects for the Center for Strategic and International Studies. He pioneered conversations between heads of state, drawing them out on explosive international issues, beginning with interviews with President Gamal Abdel Nasser of Egypt and Prime Minister Golda Meir of Israel. He traded stories and sipped tea with Pham Van Dong in Hanoi and as a houseguest of King Hussein in Jordan. His colleagues marveled at his uses of intrigue and intuition. Mr. de Borchgrave bemoaned the lack of sartorial style among many journalists, adding that good taste was a professional asset. After one luncheon a couple years back, perhaps at the offices of The National Interest, my then-colleague Shuja Nawaz introduced me to de Borchgrave, whom I’d actually previously met, incorrectly as a former Marine officer, to which he replied that I still looked like a Marine in mufti. I think he meant it as a compliment and, not wanting to embarrass either him or Shuja, didn’t correct the error (I’d been a soldier, not a Marine). Interesting. I take it there was a time in the past when the Washington Times was a respectable rag? @Franklin: I’m not sure that I would go that far, but in earlier days, it had deep pockets–belonging to Sung Myung Moon, IIRC–and hired some marquee players. HUH! One of those obits that one notices and thinks ‘I’d assumed he’d been gone for years.’ But then reading more about him I remember his impact on me more clearly. He had a column in the old paper ‘Nat’l Review’ and I was an undergrad and veteran trying to make sense of the wreckage from my immature and adolescent image of what kind of country America was after VietNam taught me that I actually knew nothing but lies. He was a hawk but not a stupid one and provided lots of fuel for the quest I embarked on. Rest in peace. I never knew of him…wish I had. Sounds like the basis of an interesting movie. See also Pat Lang’s remembrance of his friend.